GALION — The Graders, Galion’s local, wooden bat ball club and members of the Great Lakes Summer Collegiate League, will see new leadership come the summer of 2018. General Manager Mike O’Leary has named Willshire, Ohio native and current Donley Ford employee Neil Schaffner the new manager of the Graders. 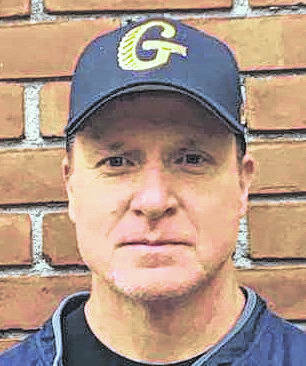 Schaffner has an extensive baseball background and a wealth of knowledge that he plans to bring to the Graders. He is a graduate of Parkway High School in Rockford, Ohio and was on their 1987 state championship baseball team, as well as earning All-Ohio honors that season. He still owns many of the Panthers’ records. His education — on and off the field — continued at Union College in Barbourville, Kentucky. While there, Schaffner played baseball from 1991-1993 and helped his school to the National Association of Intercollegiate Athletics (NAIA) regional finals during junior and senior seasons. While playing for Union College, Neil was named to the all-conference team twice, led the Bulldogs in RBIs for all three seasons and sits within the top-five for home runs in school history. Schaffner graduated with a bachelor’s degree in physical education from Union in 1994 and with a master’s degree in physical education in 1998. Other playing experience for Neil includes a season with the Portsmouth Explorers of the Independent Frontier League in 1993. In addition to his playing experience, Schaffner will bring 16-plus years of college level coaching experience to the Graders in 2018. Galion’s new coach has had a hand in programs at Indiana-University Perdue-University Indianapolis (IUPUI; his alma mater Union College; Rio Grande, Capital University; and the University of Virginia. Additionally, Neil was a third base coach for the Delaware Cows of the Great Lakes League in 2001. The Cows finished 31-7 that season. Schaffner also worked within the Cleveland Indians organization in player development from 2003-2006.